Mango Airlines have been voted as having the best flight specials amongst South African airliners in the 2014 SouthAfrica.TO Travel Awards. Cape Town -- Mango Airlines have won the title of "Best Flight Specials" in the 2014 SouthAfrica.TO Travel Awards. South Africans taking part in the survey upon which the awards are based, gave the airline the biggest approval rating in this category, with especially strong support for the airline shown amongst those younger than 30 and those in the Free State. “Mango has always endeavoured to offer the most competitive fares in the market and, as part of our commitment to this, we regularly offer sale or special offer fares. It is fantastic to be recognized by South Africans as the airline that performs well against the task that we have set ourselves.” says Hein Kaiser, spokesperson for Mango Airlines. In the survey that was carried out, there were 883 South Africans who chose to answer the question "Who has the best flight specials?" Of the 883 who responded, 47% selected Mango Airlines as having the best flight specials. Mango Airlines are well known for their weekly Mango Happy Day Sales. This deal is run pretty much every week, and has become a brand of itself in the consciousness of South Africans interested in booking flight tickets. SouthAfrica.TO analysts say that part of the reason for Mango Airlines doing so well is because in some cases it is the only airline flying to a city. For example, one participant left the comment that "Mango has the best specials and it has a route to my home town Bloemfontein". 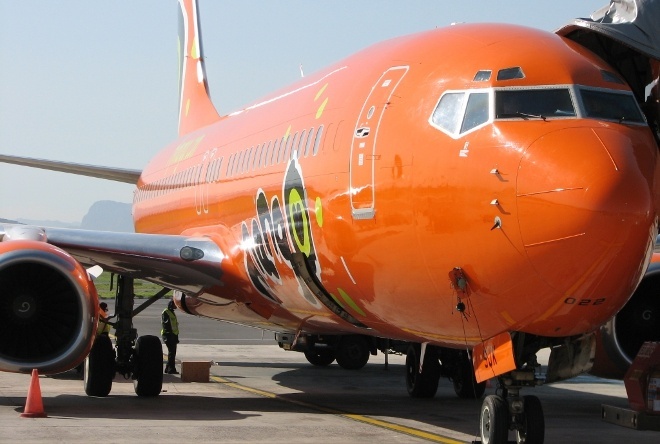 Mango are the only budget carrier flying to the Free State, and this paid dividends with 78% of participants in the Free State voting for Mango Airlines as having the best flight specials (could Free Staters vote for any colour but Orange). There are more Mango flight routes to Cape Town than other budget carriers, and we can see this coming through in the statistics, with a higher than average 51% in the Western Cape voting Mango flight specials as being best. Mango Airlines has a particularly strong support base amongst the youth - 63% of those younger than 30 thought Mango Airlines have the best flight specials, compared to only 47% across all age groups. "Difficult question as you shouldn't be rating company's like BA and Mango and Kulula in same breath. BA definitely stands out for me but best flight specials time and again for me is Kulula." "Ebucks and Kulula puts then at an advantage. A disappointment that they stopped flying PE route." "Mango has best but very difficult to get thru. We should be allowed to book via telcon especially for aged people." "Wish SAA had more specials and more flights"
"With Mango they allow you to book with your Edgars card. Sometimes you have an emergency and have to fly and don't have any cash. That's what makes it awesome"
"I am using mostly Mango because of their good specials. Their service also compare very well to the others"
"Since Mango has so many specials through out the year I am able to fly more frequently." "I have found BA to be much cheaper than SAA when bookings are made in advance." "Although Kulula has more specials, I would rather pay more and fly SAA." "Have taken advantage of many a Kulula Domestic flight specials"
"Kulala has the best specials for flying in South Africa, however, it is not applicable as they do not fly to Port Elizabeth. we now get ripped off on flight pricing." "In my opinion, Emirates and Etihad has best specials, South African Airways should be more competitive." "For the Port Elizabeth Market - Where there are are not always "best options with flights, Mango has come in a filled an integral part in the market of flights that are still affordable and offer great specials at regular intervals between PE and Cape Town and PE and JHB from time to time. The Staff and Management are Fanstastic - Friendly- Approachable and most Helpful! GO MANGO!" "Mango has best special offers that any person can afford." "Mango of course is a clear winner as they are the cheapest on the market (although prices have become slightly exorbitant lately with a big hike?) but lets be honest, when you are doing a 2 hour flight between Cape Town and Durban, its worth to save some moola and bring your own snacks on board! Looking forward to seeing the influence of the new airlines and some competition in the market for domestic flights!" "i love Mango..........i have a big family . Mango is affordable." "Mango airlines has special every month"
"At times I do miss 1time flights"
"I don't have any special comment here except for an airline that does not exist any longer. I did fly very often enough with OneTime-airways for their very competitive rates and absolute friendly and efficient service. However, I did unfortunately had a bad experience with Mango Airlines during a flight when a flight attendant ran (yes RAN) down the isle and smacked a full cup of coffee out of my hand, spilling over myself and the poor passenger next to me. The results was not very pleasant, but a new coffee and a small gesture of apology to my fellow passenger and me would have sufficed?. I suppose it could have been worst if the plane had mechanical problems as experienced with NationLink who dropped a jet-engine on the runway." "I don't find any great specials anymore - used to get good special with Kulula. SAA & BA are expensive now, but SAA have good deals to the USA, not to the UK"
"Mongo airline is the best when its come to the specials to offer travelers"
"Mango is always best in prices !" "Kulua and mango has got the best specials"
Click here to read more about Mango Airlines. SouthAfrica.TO (South Africa Travel Online) focusses on the cheap online booking of flights, cruises and car rentals. It was incorporated in 2010, and is owned by Rob and Karen Baker. Their unique system of giving travel vouchers to readers who share reviews of their travel experiences allows all to enjoy discounts on airfares, car hire, cruises and even paragliding & hot air ballooning. We are happy to supply journalists with further information & images, and to arrange interviews.